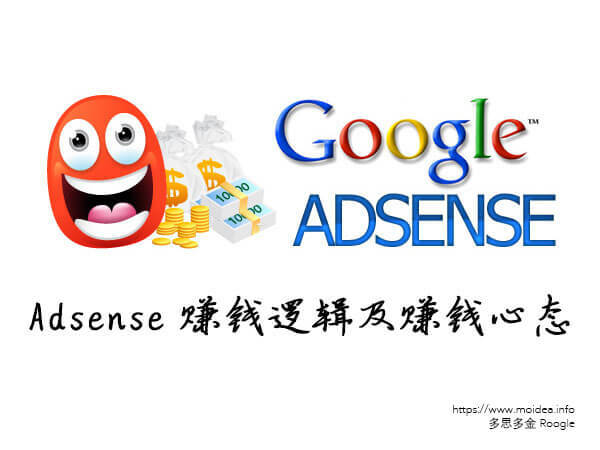 There are too many foreign articles about Adsense's monthly income. There are also domestic bloggers, but everyone is conservative and makes a lot of money. During this time, I rethought about the direction of the website. Of course, this article is not The main purpose of teaching you what to do is to give you some inspiration for the direction of the content. Google Adsense has two ways to calculate revenue: ad exposure (no need to be clicked) and ad clicks, I can say with certainty that your blog's little traffic (less than 10,000 days of traffic) is not earning exposure revenue. of. Don't think that I put the advertisement on. Some people have income, which is wrong. My personal experience is that if no one clicks in a day, the income of the exposure alone is only 0.0X US dollars, which means that it is only 0.X dollars a month, then it is pitiful to die. So it’s important to convert traffic to click conversion rate! Also, don't forget to use the ad format recommended by Google Adsense! After personal testing, I found that the conversion rate of Adsense popular advertising style was greatly improved. To have a high conversion rate, you must first be a helpful person. Why do netizens click on your advertisement, except because the advertisement is suitable, and because he has a good impression on your content, your article helped him, so for netizens Providing useful information will make your station go higher and further. Some websites say that content is special, because there is a lot of popular content. I don't think it is true that content that is only of interest to a small number of people has a higher hit rate, but the flow of people is always limited. On the contrary, there are a lot of people interested in the content of the pie, which is already good, so the best website content. Structure is a topic of popularization and professional topics. This popular topic can be some investment information about success and finance or your daily technical journal, and the professional topic is some original articles in the direction you are engaged in or interested in. Adsense is a process of accumulation. The popularity of the website and the accumulation of content take time, and the increase in income of Adsense takes more time. It can be said that the first half of the opening is the most difficult. Most of the 90% of people who are engaged in making money on the website/writing BLOG will give up in the first half of the year. why? This is related to Adsense's advertising fee payment model: Adsense's payment threshold is $100. In the first half of the year, the monthly income may be only a few tenths of dollars or a few dollars. Does it take 200 months to reach $100? Psychological frustration has caused many people to give up. But believe me, as long as you maintain a helpful heart, follow the successful experience on the Internet, follow some methods, you will be able to get 100 dollars from adsense soon!